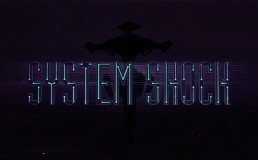 System Shock was a 1994 classic videogame for the computer made by Looking Glass Studios. 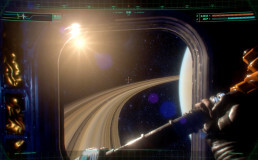 Single-handedly pioneering the sci-fi horror genre and being one of the earliest examples of the first-person shooter, System Shock set many precedents for the gaming world and gained a devoted fanbase. It spawned a sequel which is renowned as one of the scariest games of all time, and the team eventually spun off into creating the acclaimed Bioshock series. After Looking Glass Studios closed its doors in 2000, the intellectual property to the System Shock series was lost. It was lost until Stephen Kick happened upon these right, which belonged to the company’s old insurance company. He bought the rights to the System Shock series and formed Night Dive Studios. 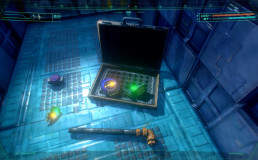 Night Dive released enhanced versions of System Shock 1 and 2 for modern computer distribution services, and did the same for dozens of other classic games. Now, 22 years after the release of the original game, Night Dive is remaking System Shock from the ground up. And Arms & Anchors is working with the team to make that vision become a reality. We were approached by Stephen after a long and trusted relationship with him. He’s asked us to handle the brand identity, the game’s UI, the game packaging, its printed materials, and the motion design. And of course, we are very excited to be working with him on the game. Our biggest challenge has been to take an old, loved classic and bring it into the modern world in a way that respects the original, while making it appeal to the modern gamer. The UI of the original game was an obstacle to many gamers, and we’re pressing the limit for a modern, clean look and easy, accessible functionality for this game’s UI. Our efforts have seen light for the first time on March 14th, when Night Dive released a video of the first captured gameplay, which we edited and combined with an animated teaser of the game’s new logo. The video gathered over 500,000 views in under 48 hours, the reception has been incredible. In the world of remakes it’s hard to please everyone, and the amount of positivity that we have gathered from fans, both new and old, has been astounding! To say that the game is getting due hype in the gaming world is quite the understatement. Arms & Anchors is very excited to be taking such a large part in this game’s resurrection. Being gamers ourselves, were love the opportunity to be at the forefront of such a meaningful project within the gaming world. We tip our hats to the committed fans of the series for their years of support of the series, which gives us the ability to make such an impact with our future release.